Really nice 8, and even a better engine . It's amazing how MS bumpers can add to the looks combined with nice set of wheels. I really need to find a friend with a real camera to take some pics. Mine is a el cheapo Sony. Some states or counties within them do not require you to smog your car so no one ever checks. This. Florida is EPIC WIN in regards to this! Wow those rims look amazing!! I was an interested candidate for those. Just wish the sale came at a better time for me! You, my man, have the nicest WWP , on these forums, imo! Yeah these rims are awesome! I love them! Future plans is to clean up the engine bay. Starting in January when I get back home. When the 13brew was installed it was mounted on to solid engine mounts. Last week I installed the 13brew engine mount/brace from rx8performance and its so much better now! Next on the list is to install the D-Spec's and Tein springs I have sitting here in the garage. Last edited by firecran; 03-16-2012 at 11:12 AM. nice Steve! that was one of the two things about the swap I didnt care for, the other being no OMP... I saw that brace on his site, the swap is getting easier all the time! I'm sorry about the quality of the video... I hope to have a gopro 2 really soon. Last edited by firecran; 03-17-2012 at 03:22 PM. Yes this swap is..... by the time your ready someone will have a bolt in kit for ya! The OMP can be used with the REW swap(when using the renni front cover & ECU) you just have to make your own turbo manifold to clear the OMP. Im using the FD HKS cast manifold and there is just no room due to the turbo placement for a OMP. But premixing doesnt bother me at all. What engine management are you using ? That's a sweet car, the engine swap brace is brilliant. Thanks, running stock ECU w/ Int X. Yes, the brace works well. Went to the local 1/4 track here in Orlando to do some fun runs against a co-worker with a Audi A4. I ran with street tires and was boosting 12psi. Fun times! Link to a video of the runs. My friend in the Audi put this video together. 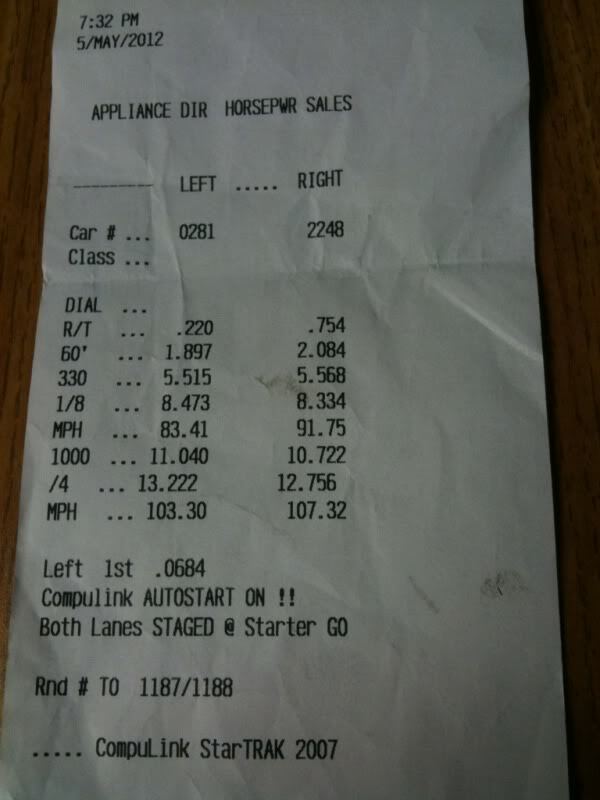 It was frustrating trying to get off the line halfway decent and not spin the tires. It looks great! You are doing central Florida proud! She was a blast at DGRR! Went back to the 1/4 track Friday night this time with DR mounted. Best time was a [email protected] and still at 12psi. I'll post some videos soon. I usually go every other month, so see if you can go in July. 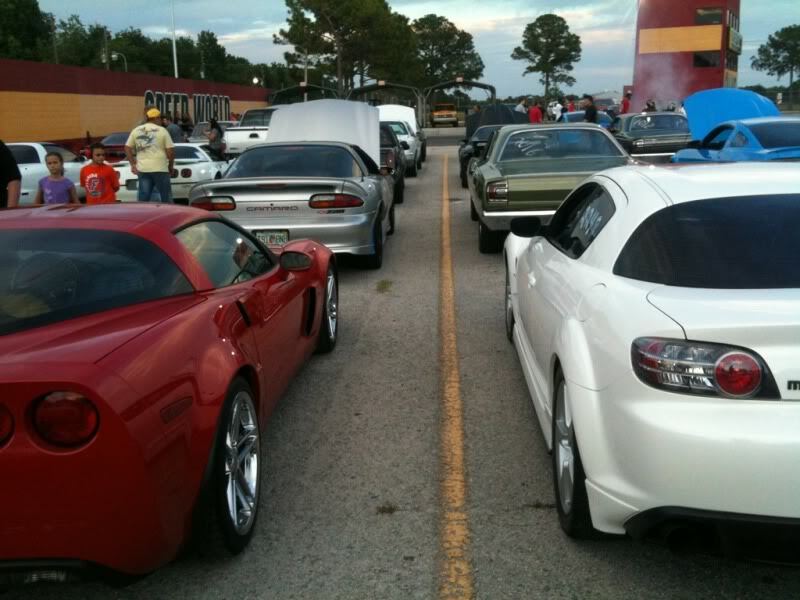 We need to have another cars & cafe' meet too. welcome...july sounds good.... cars and cafe now that would be nice as well, i wonder if we can do that again? ?